I haven’t had a full night of sleep in seven months. My day involves diapers, spit-up, peek-a-boo, vocabulary words, Skippyjon Jones, and princesses. I pretend to be a leopard while doing laundry, preparing meals, and attempting to clean. The soundtrack from Frozen haunts my waking hours. Sometimes, I’m sure that I hum “Let It Go” while I sleep. I’m the parent of an infant and a preschooler. The humdrum of everyday routines come with slobbery smiles, tantrums, tears, laughter, and hugs. Like all other parents, I realized (philosophically) that a child changes everything. Other adults told me this as a warning, but I didn’t know exactly what they meant until my daughter arrived. A child makes you into a different person than your childless self in the most abrupt and exhilarating fashion. Children change us in intimate and profound ways that can’t be easily predicted. Most books about parenting, however, might warn you that life changes, but they don’t worry about you at all. These books, instead, care about your offspring and your impact, good or otherwise, on them. There’s much more concern about how we harm our poor progeny than what they do to us. In our home, it is a running gag to evaluate which of our actions might lead to therapy or a tell-all memoir. Our parenting styles include heavy doses of paranoia and anxiety as we desperately attempt to uncover whether we are doing a good job. My huband and I analyze our kids for clues about what works and what doesn’t. Our kids ignore our attempts to decipher well-being, which is the best for everyone involved. The pressure to be engaged, perfect parents is fairly high; the cultural expectations for motherhood are ridiculous. Anxiety, guilt, and doubt are constant companions for modern parents. Yes, parents affect their children, but children also affect us. What do children do to us, really? What is their influence on the lives of adults? I picked up Jennifer Senior’s All Joy and No Fun (Ecco, January) to find out. Studies show that parents are often less happy than non-parents, and social science catalogs how children make us miserable. They deprive us of sleep; they shout us out of the local Target; they refuse to eat and sleep; and they pepper us with ceaseless questions and demands. Children can overwhelm even the most level-headed person. Yet, that’s not the whole story. Adults also claim that children give their lives meaning and purpose. They also bring us joy. Senior, then, uncovers what happens to adults once they become parents, but also explains why children make us simultaneously unhappy and happy. She tracks the journey of adults through the lives of their children from infancy to the dreaded teenage years. What we learn is that while children bring joy, raising them is often no fun at all. Sleep deprivation, monotonous routines, emotional outbursts (from both groups), mental and physical exhaustion, and the loss of autonomy take their toll. Parenting is hard, and its goals are elusive. Parents want to raise happy children, but happiness is at best vague and unquantifiable. How can we make someone else happy? 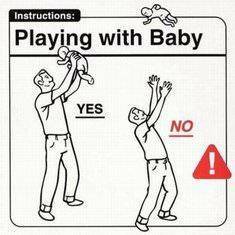 This book, then, is not a how-to guide to child rearing. Senior even claims that her book lacks practical advice for parents. Her portraits of modern families document the push and pull of ideal expectations and lived realities. These parents try hard to do what’s best for their children, and they seem to feel that what they do is never enough. Their stories are compelling and familiar. I too have attempted to negotiate with a three-year-old with no success, and now, thanks to Senior, I know that a toddler’s brain is wired differently from my own. The difficulties of parenting appear strangely common and overpowering. The joy, however, is often beautifully particular, and it often comes when least expected. When my son smiles with his tongue wagging out or when my daughter attempts a joke but botches it, I find myself caught up in joy and it outweighs the exhaustion. I finished All Joy and No Fun when my son started teething. While soothing him in the early hours of the morning, I realized that Senior does offer parenting advice. She encourages parents to be kinder to themselves, to appreciate those moments of joy, and to realize that their kids are doing just fine. is the author of The Zombies Are Coming! and Gospel According to the Klan. A recovering academic and freelance writer, she writes about popular culture, gender, parenting, and higher ed. She currently lives in Florida with her husband, two children, two dogs, and one very mean kitty. When she's not chasing children or animals, she reads urban fantasy and analyzes monsters. It may not seem like it, but the early days of parenting do fly by. Have you seen the great video from Gretchen Rubin called “The days are long but the years are short”? Previous Story Previous post: What does this text mean?